Designed for all acoustic, electric and bass guitars, Gravity guitar racks are available in four versions accommodating 3, 5, 7 or 9 instruments. They are made of heavy-duty steel tubing with a black powder coating finish. Holding the necks firmly and securely the adjustable soft touch yokes are padded and detachable. The rails supporting the guitar bodies are covered in specifically formulated foam to prevent dents and scratches. 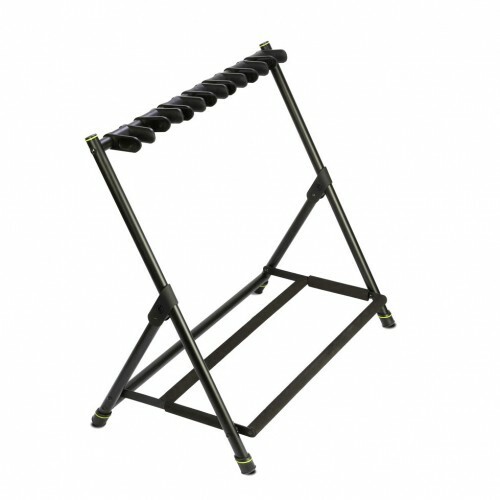 Quick to set up and space saving, the Gravity guitar racks fold up flat for easy transport and storage.